Though NASA’s Cassini spacecraft is sadly nearing the end of its mission, the brave li'l orbiter is putting on quite the grand finale. Cassini, which is currently in its ring-grazing phase around Saturn, has just sent back some stunning images of the gas giant’s many rings. According to NASA, the new pictures are some of the “closest-ever images of the outer parts of the main rings,” which is exciting for scientists and stargazers alike. Cassini has taken many images of the rings before, but they’ve never been anywhere close to this level of detail. 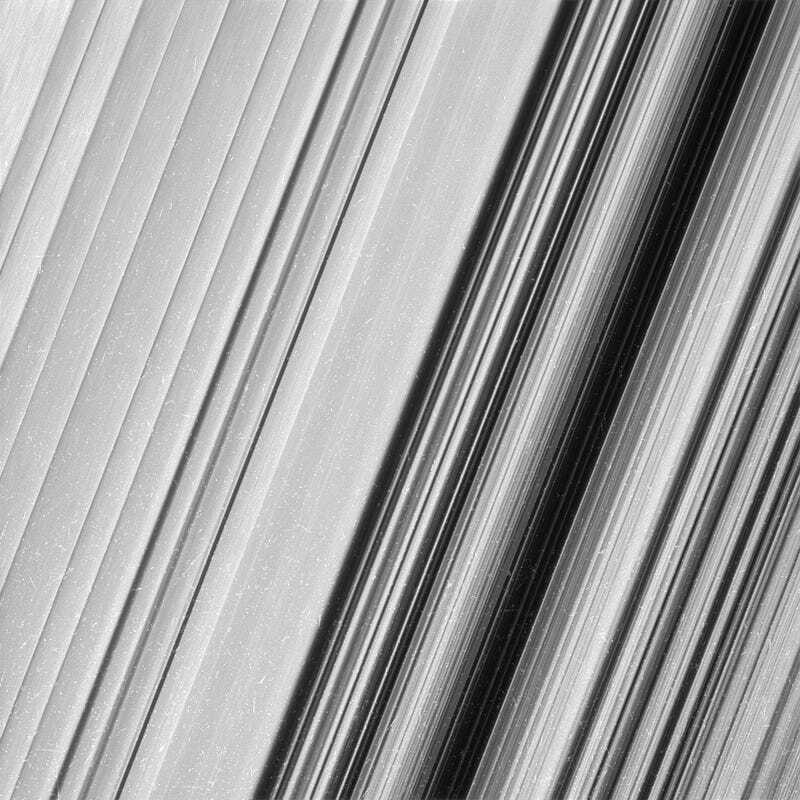 The new images reveal up-close views of “propellers,” or structures that look like gaps in the rings caused by one of Saturn’s 62 moons. Gravity wakes, also called “straws, ”are likewise very visible in the new photos. 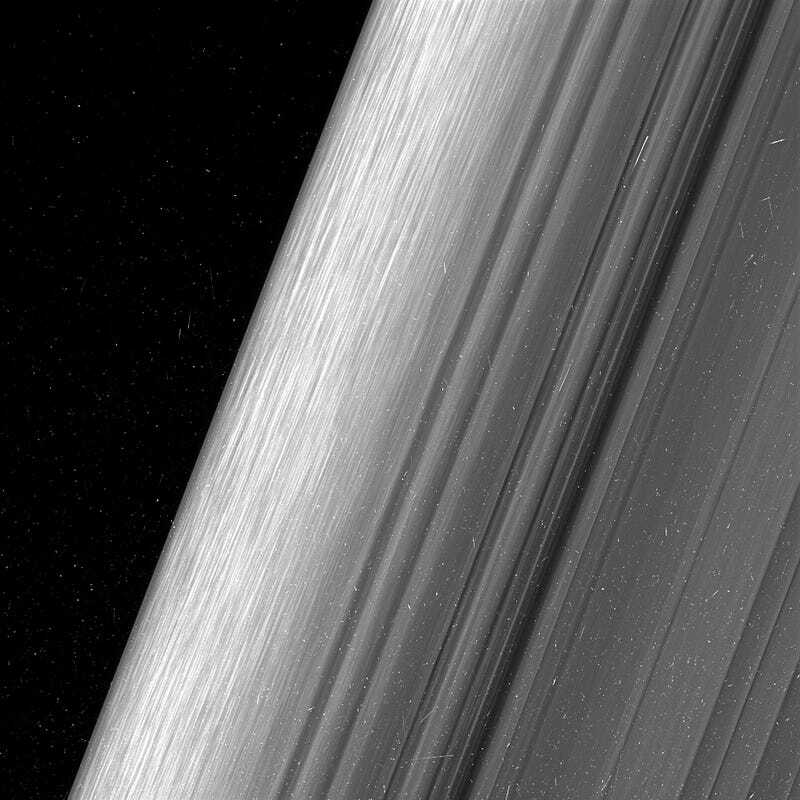 “These close views represent the opening of an entirely new window onto Saturn’s rings, and over the next few months we look forward to even more exciting data as we train our cameras on other parts of the rings closer to the planet,” Matthew Tiscareno, a Cassini scientist and Saturn expert the SETI Institute, said in a press release. Luckily for us Earthlings, we can expect way more cool images of Saturn’s rings in the coming months. But unfortunately for Cassini, her 20-year-long mission will end in April, when she plunges herself into Saturn’s atmosphere. Sad!